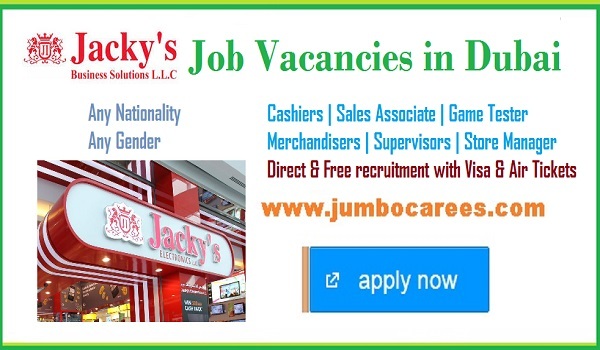 Leading Electronic Stores based in Dubai- Jackys Recruiting Store Staff. About the Company : Electronics retail giant, Jacky's, has over four decades of worldwide operations. From its humble beginnings in Hong Kong in 1970, Jacky’s Group of Companies has come a long way to become one of the leading international traders in electronics and general merchandise in the Middle East, Africa, South Asia and the Far East. Jacky’s ability to adapt to the needs of the changing times is an important factor that contributes to its success.